Valentine’s Day may be an overly commercialized holiday, but as a newly engaged couple, you can’t help but want to celebrate your love at every chance you get. If you’re looking for Valentine’s Day ideas for engaged couples, you’ve come to the right place. Here are four stellar options when it comes to February 14. You and your partner deserve a day of pampering. How do I know? All engaged couples, working away at making their wedding perfect, deserve some downtime. Surprise your partner with a day at the spa and you can’t go wrong. If spas aren’t your thing, you can always put a twist on the classic dinner date. Nothing wrong with going out to eat, but Valentine’s Day is one of the busiest evenings in the restaurant business, not to mention over-priced. Instead, opt for a brunch or lunch date. You get the quality time without the hassle of having too many other couples around you. Budgets are tight, restaurants are overrated and you still want to do something special. Plan an indoor date night. Try a special recipe, bake cookies or make a fondue. Whatever it is, make it different, make it new, and just relax and have fun together. 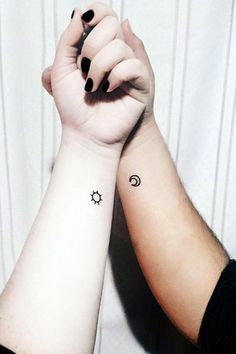 Matching tattoos aren’t your average Valentine’s Day gift, but this is 2019, why not! You know you’ll be together forever. You’re excited. Get something to commemorate this phase of your relationship before you’re officially married. It’ll make you feel more connected to your partner and more excited for the big day.